Biola University is the home of knowingly imperfect people, world changers, purposeful learners, and compassionate leaders who want to see their communities radically changed by the grace of God. Time for some real-world experience. We know that some of your best learning happens outside the classroom. 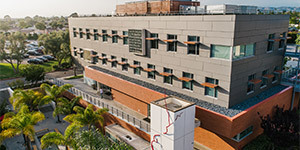 Our location, just miles down the road from Los Angeles, a global city of industry, affords endless opportunities for you to network and gain practical skills in your field through relevant internships and employment. Sport your spirit. We’ve got big news—Biola is now NCAA Division II. That means we’re renewing rivalries with old competitors and taking our Eagle pride to the next level. Join an intramural team to show off your athletic ability or support one of our 14 Biola teams as they take to the field, the pool, the track, and the court. Adventure is out there. Imagine living in the heart of Southern California. Think world-famous beaches and snow-dusted mountains with breathtaking views. Think of the vibrant hum, bustling rhythm, and unique culture of local cities, with coffee shops on every other corner that come in cozy, trendy, or quirky—take your pick. To top it off, the Happiest Place on Earth is just a 20-minute drive away. Traditions with a twist. Start the year off with Nationball, a high-energy dodgeball competition between dorms. Celebrate the season with Punk n’ Pie, a festive school-wide talent show, or our annual Christmas Tree Lighting, complete with caroling, community, and “snow.” Finish off the year with Mock-Rock, an all-out costumed and choreographed lip-sync competition. There’s a club for that. Got a passion for ballet, accounting, rugby, politics, spoken word, scuba diving, social justice, or something else entirely? We’ve got you covered. With over 77 clubs, ministries, and affinity groups on campus, you’ll be able to connect with some of the world’s best students while doing what you love. What more could you ask for? We know you’re not looking for extra hoops to jump through. Let’s keep the process simple—you don’t need to take any specific courses before you transfer. Even if standardized tests aren’t your strength, your hard work is worth honoring. If you’ve taken more than 15 transferable semester credits post-high school, don’t worry about sending us your SAT or ACT scores. If you haven’t, you can still apply as a transfer, but we need your high school transcripts and SAT or ACT scores. Your college experience speaks for itself. That’s why we’ll accept 70 community college credits and an unlimited number of credits from four-year institutions. We also accept the completed IGETC or CSU Breadth. Life happens. If your plan doesn’t quite go, well, according to plan, we’ll gladly roll over your admission for up to two years so you don’t have to reapply. Our team is committed to partnering with you every step of the way. We’ll come alongside you and help evaluate your course work to determine how your credits transfer, estimate the number of semesters you’ll spend at Biola, and figure out your calling with career pathway assessments. Established in 1908 with the values of truth, transformation, and testimony, Biola is committed to inviting students to step boldly toward who they were created to become as they are spiritually deepened, intellectually stretched, professionally developed, and personally transformed. Biola is set apart by its biblical grounding, intellectual engagement, and community orientation. Our faculty, staff, and student body are composed entirely of professing Christians, so Christ is at our center individually and institutionally. We believe true faith involves asking the hard questions, and we’ll be the first to admit that we don’t have all the answers. However, we are convinced that biblical truth should and does inform every aspect of the way we learn from, interact with, and respond to the world around us. That’s why we not only offer numerous Bible courses but also weave biblical integration into every discipline. Our faith is far from anti-intellect. On the contrary, we take the commandment to love God with all our minds seriously. Our 42 majors and 150+ rigorous academic programs, various study abroad opportunities, and esteemed Torrey Honors Institute challenge our students to think deeply and critically. Our 15:1 student-faculty ratio ensures that our students benefit from the personal, intellectual, and professional investment of our intentional, experienced faculty. Ranked a top-tier university by U.S. News & World Report, our academic excellence has not gone unrecognized. 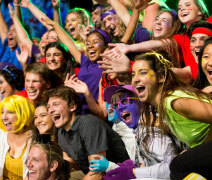 But truly, if you ask alumni or current students about what sets Biola apart, a theme will quickly emerge: community. They’ll speak of acceptance and a deep sense of belonging alongside true challenge and a call to become better. They’ll speak of an eagerness that welcomes new relationships and adventures. They’ll speak of a freedom to grow and an energy that’s contagious. On our campus, you’ll encounter love in its least cliché form—a love that is active, authentic, and redemptive. It’s also a love that demands humility and a willingness to learn from one another. The strength of our community can be measured by the ways in which we engage, wrestle with, and celebrate our differences. From multiethnic programs and conferences to events and affinity groups, we are committed to welcoming the perspectives of students from all backgrounds as we move toward a unity in diversity reflective of the Kingdom. 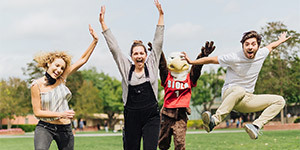 We’ll be honest: while the nearly endless chances to learn outside the classroom are exciting; while the personal relationships you’ll be able to form with students and faculty alike are outstanding; while the professional preparation you’ll receive here is truly exceptional—we believe the value of a Biola education lies in the opportunity to become a better you. If you are willing to trust God’s hand in the process of ever-progressing and never quite arriving, you will leave this place changed in the best possible way.